Greenstone and CDP recently delivered a 30-minute webinar on CDP reporting in 2019, how to prepare and some practical advice on how to improve your CDP response. We had quite a few questions during the webinar, so below we have answered them in the hope that it will help other organisations. 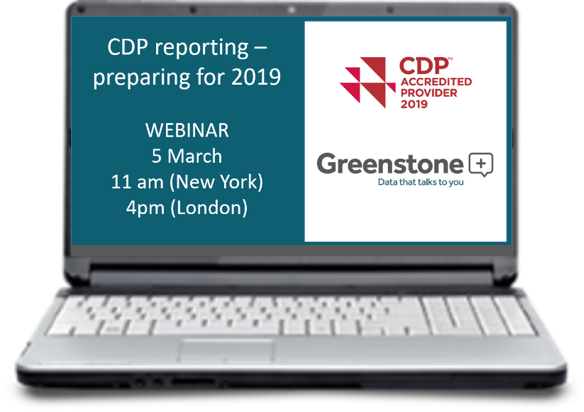 Greenstone is holding a 30-minute webinar on 'CDP Reporting - preparing for 2019' on Tuesday 5 March. 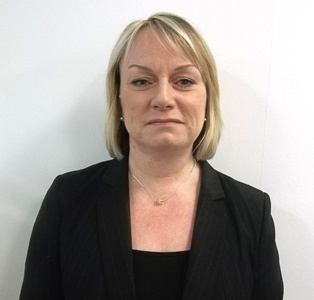 With a guest speaker from CDP, Associate Director of Reporting Faye Bennett-Hart, this webinar will discuss CDP reporting for 2019, how to prepare and some tips on how to improve your previous years' response. Greenstone, in partnership with CDP, is holding a webinar titled 'CDP reporting - how to prepare for 2018'. As part of its ‘Reimagining Disclosure’ campaign, CDP has made notable changes to its questionnaires for 2018. Whether you are an experienced CDP reporter, or a first-time responder, you will need to start preparing for these changes and ensuring your data is in order. For 2018, CDP has made some significant changes to its questionnaires and scoring. This is all part of ‘Reimagining Disclosure’ - an initiative CDP launched last year with the aim of developing and improving its disclosure system. The changes affect how companies should disclose their GHG emissions and have been made in response to the market need for improved data collection and more sector specific data requests related to climate change. 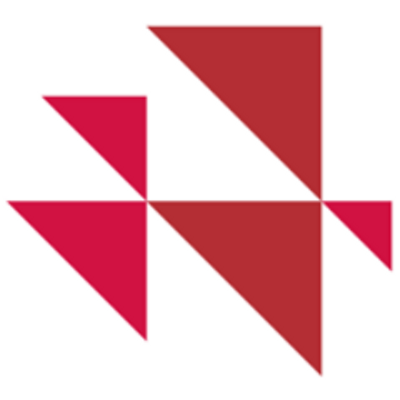 They also encompass the Task Force on Climate-related Financial Disclosures (TCFD) recommendations related to risk management and the inclusion of more forward looking metrics. Greenstone and Mentis Solutions are hosting a breakfast event titled ‘Simplifying Sustainability Reporting: streamlining data for efficient reporting’ on Tuesday November 21 in Toronto. As the CDP deadline approaches, join CDP and Greenstone for a free 30-minute webinar to find out how you can improve your CDP response for 2017. As part of its CDP Partnership, Greenstone is holding a free CDP reporting webinar on Tuesday 25th April at 4pm GMT. With a guest speaker from CDP, Sarah Robertson, this webinar will give you practical tips for this year’s reporting whilst preparing you for the data collection you should think about now for 2018.